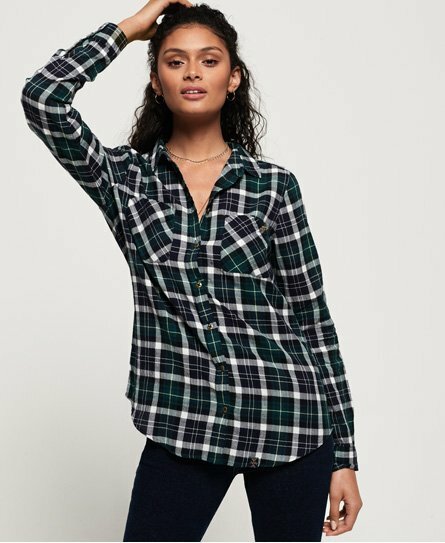 Superdry women's lightweight Seersucker shirt. This lightweight shirt features a button fastening, two chest pockets and button fastened cuffs. The lightweight Seersucker shirt also features a dipped hem with a Superdry logo tab and is completed with a metal Superdry logo badge on the pocket. This versatile shirt can be worn open over a plain t-shirt or buttoned up with skinny jeans and boots.